We are a certified manufacturer and installer of high grade PG-Propane-Ammonia Bulk Storage, Handling and Distribution System Installation. We undertake such installation for various Engineering Industries, Plants, Hotel And Hospital Industries. We have the privilege of being associated with some large companies. 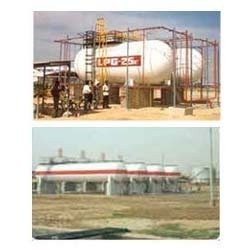 This association provides us an in- depth knowledge on designing and implementation of LPG/Propane Storage facilities to comply with client’s exact requirements and various local governing bodies and explosive norms. Looking for LPG-Propane-Ammonia Bulk Storage Installation ?